As you may recall, last month the Amateur Radio Parity Act of 2015 (S. 1685) passed the Senate Committee on Commerce, Science, and Transportation. Your action is needed today, as the bill will likely be referred to the Energy and Commerce Committee for debate. H.R. 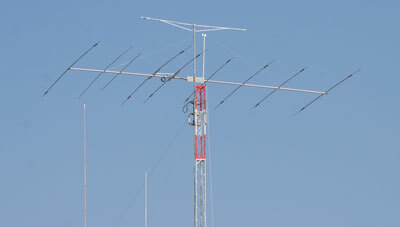 1301 invalidates community association rules and architectural standards that govern the installation and use of amateur radio towers and antennas. If this bill should become law, Congress will be able to rewrite the private, contractual agreement that you signed upon buying into your community association. It is essential you voice your opposition to this bill. Senator Nelson (D- FL) spoke out against the bill stating it, “repealed private contracts…overrides guidelines agreed to by residents when voluntarily purchasing their home in a homeowners association”, and that the bill “goes a step too far.” Congress should not be rewriting private agreements. Further, community associations need to be able to create reasonable processes and aesthetic guidelines for HAM radios in order to preserve property values and ensure the safety of homeowners. We urge you to contact your Representative and tell them you oppose H.R. 1301. Thank you for taking the time to protect and preserve America’s community associations. If you need additional information about this issue, please contact us anytime at government@caionline.org or (888) 224-4321.